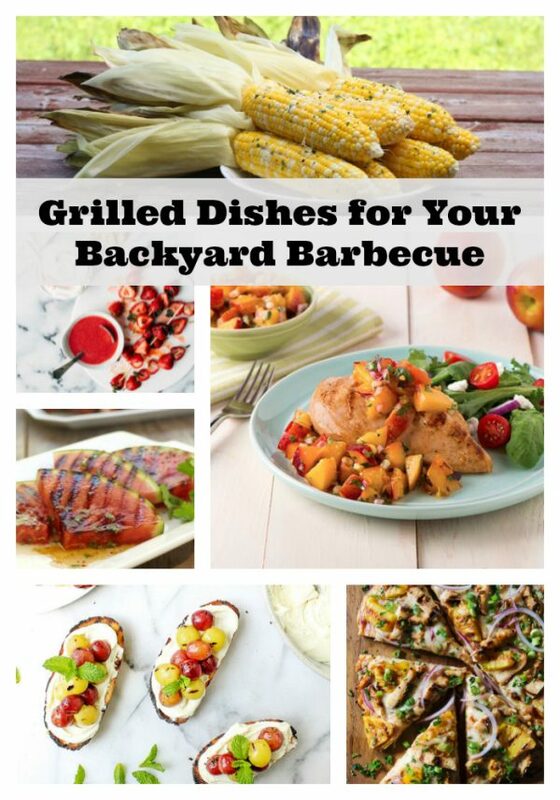 Nothing says summer like cooking outdoors! 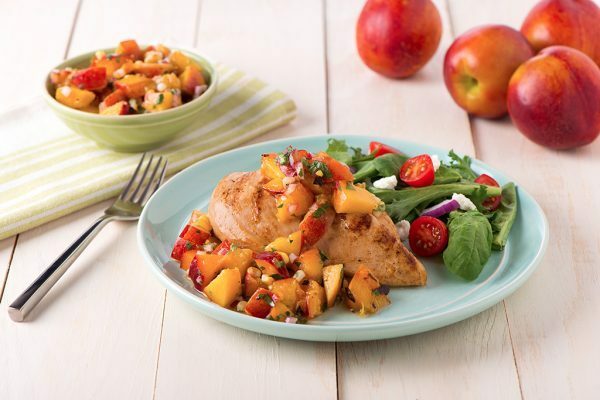 To make the most of the grilling season, be sure to add fresh seasonal produce to your barbecue menu. 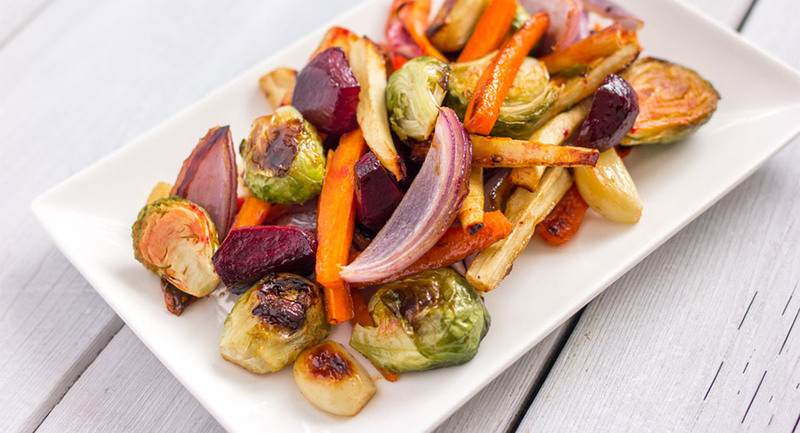 Grilling intensifies the natural sweetness of fruits and vegetables, adding a smoky charred flavour that’s irresistible. 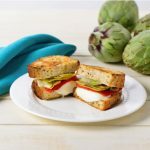 Check out our list of the best grilled fruits and vegetables for the BBQ! 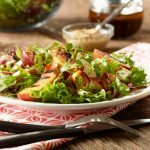 Freshly grilled nectarines and corn add smoky flavour to this summery relish, which is sweetened with a bit of honey and lime juice. 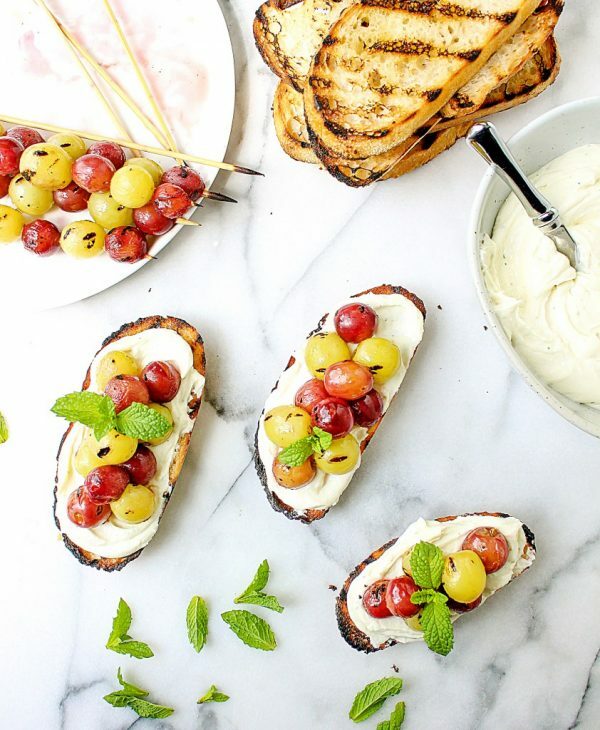 Grilling grapes brings out their juiciness, which pairs nicely with the crusty bread and whipped cheese in this pretty appetizer. 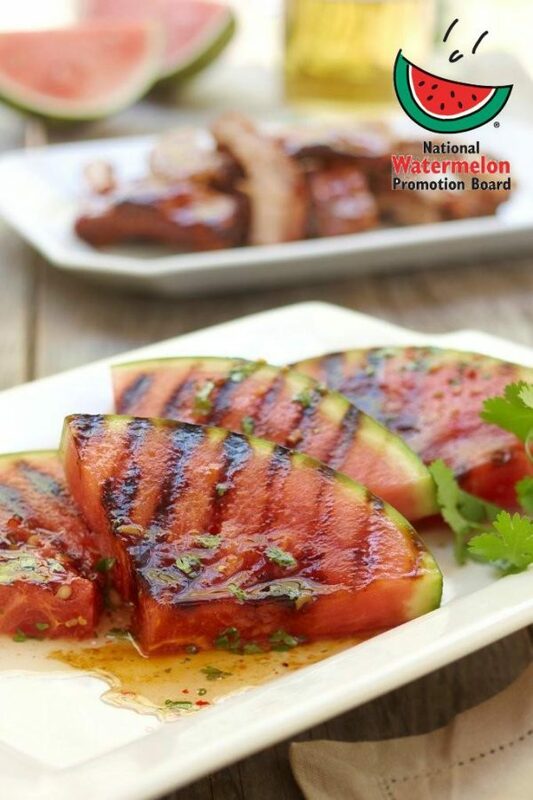 This grilled watermelon changes from sweet to savoury with this mouth-watering Thai-inspired sauce! 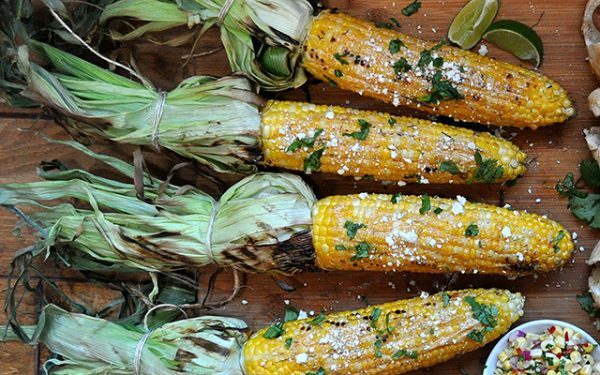 A few tablespoons of mayonnaise, grated garlic and some chilli powder will transform corn on the cob into something truly spectacular. 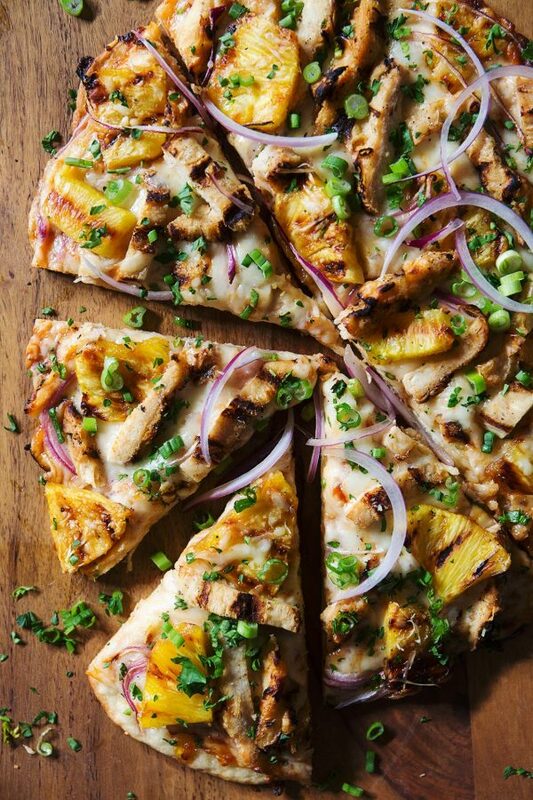 Grilled pineapple chunks and apricot spread elevate this homemade Hawaiian-style pizza. 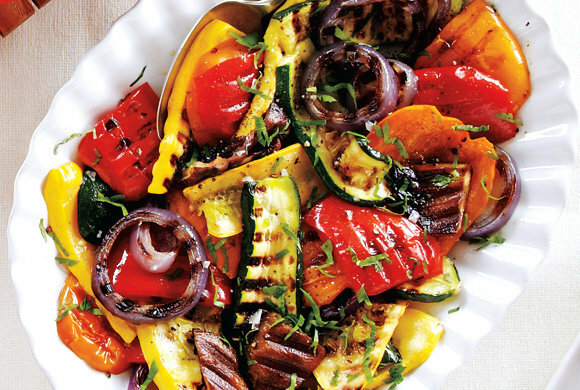 This rustic grilled vegetable side dish is delicious at room temperature or hot off the grill. 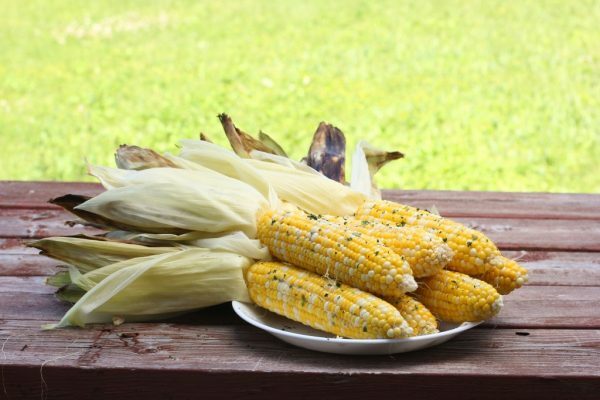 The herbed butter imparts extra smoky flavour with a pinch of chipotle pepper powder, which compliments the sweet grilled corn with salt, cilantro, a splash of lime juice. 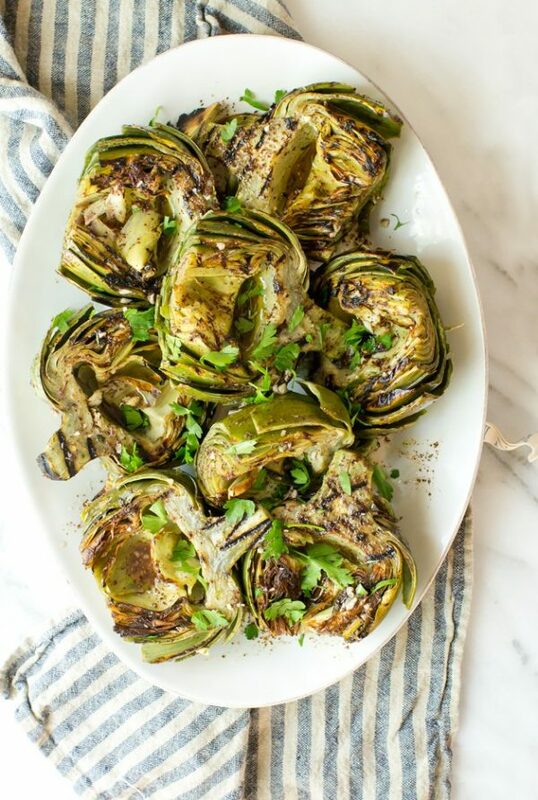 Tender grilled artichokes are extra-delicious when paired with a flavourful garlic-sumac dressing. Grilled Portobello mushrooms get some Italian flare in this recipe. 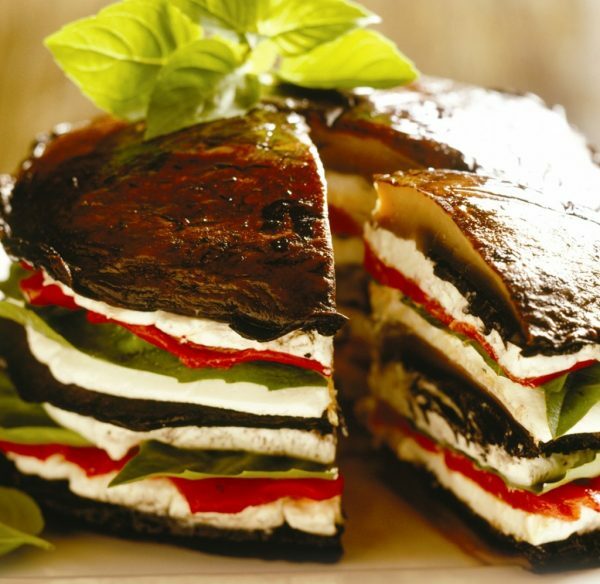 The tartness of goat cheese paired with fresh basil brightens up the flavours in this impressive dish. 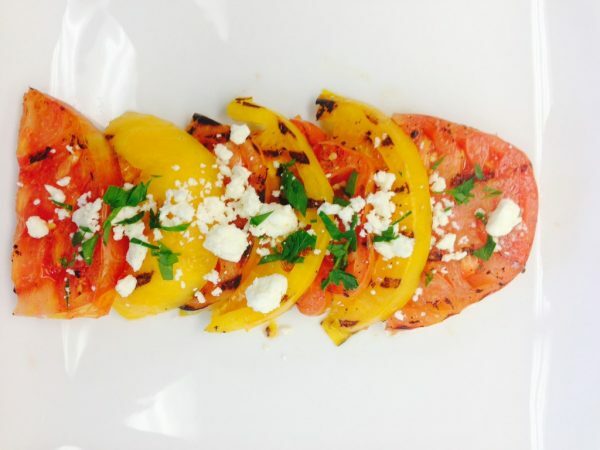 This grilled heirloom tomato salad combines fresh basil and crumbled feta for a bright and refreshing dish. 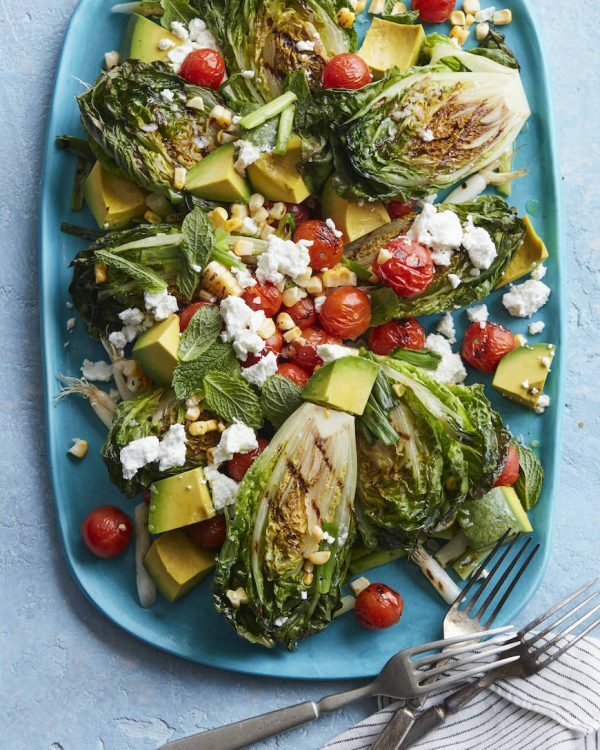 This recipe puts a spin on the classic Cobb salad recipe by grilling the vegetables instead of serving them raw. 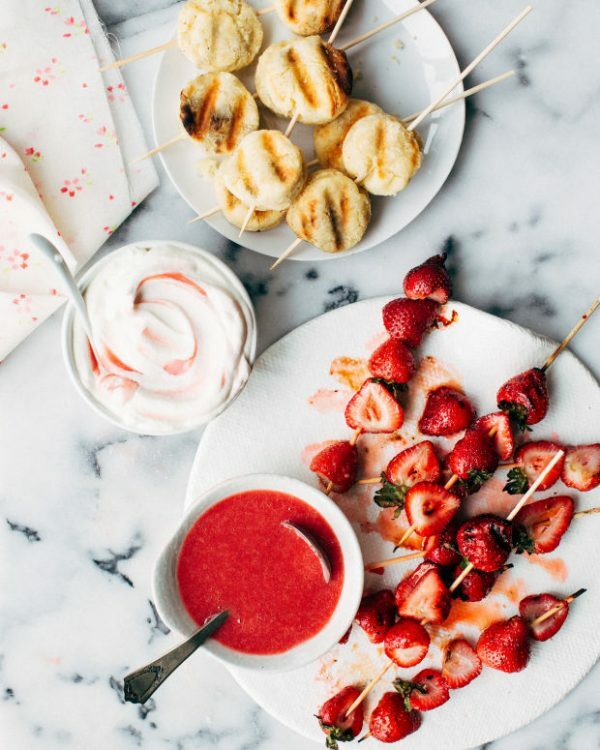 Grilling strawberries brings out a sweet, jammy flavour that brings strawberry shortcake to a whole new level. 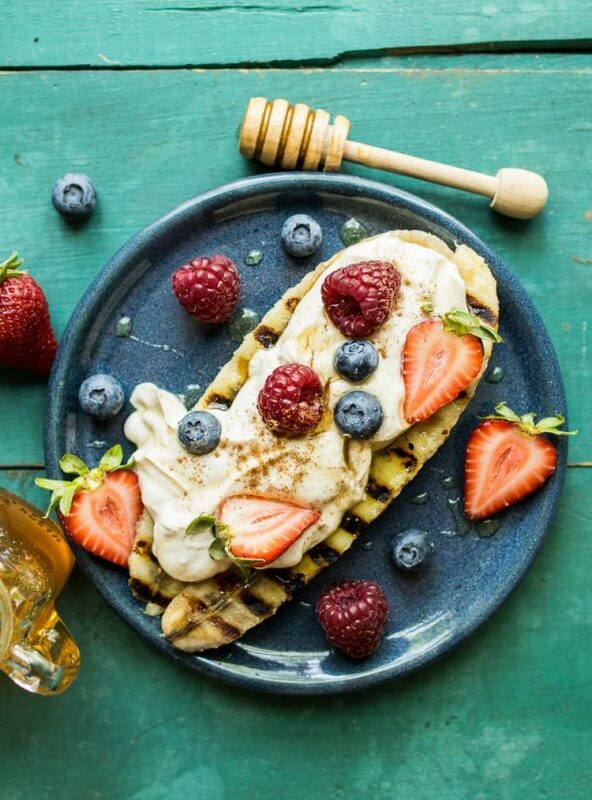 This grilled banana split is so healthy, you could eat it for breakfast instead of dessert! Greek yogurt, peanut butter and cinnamon makes a topping that’s so good, you won’t even think about ice cream. 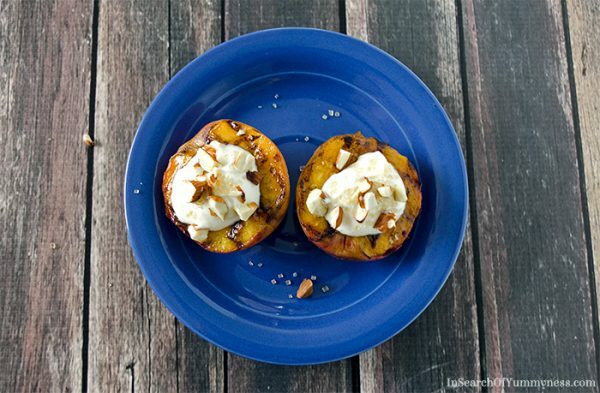 Grilling peaches adds a deep caramelized sugar flavour, which pairs well with creamy whipped cream and crunchy almonds. 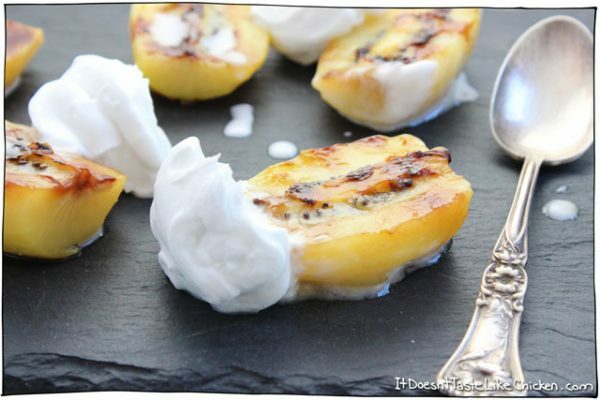 Grilled golden kiwis are topped with a decadent coconut whipped cream, creating a tropical treat that’s perfect for summer.